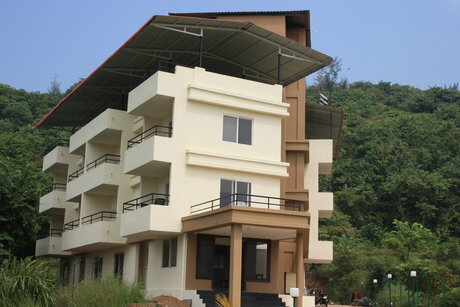 Sahil Inn is located nine kilometers south of Dapoli on the Palande - Harne Road. Take the road towards Harne from Dapoli. Proceed towards Saldure at Asud Bridge. Pass Palande village and continue towards Harne. Sahil Inn is on your right after passing Blue Breeze. Pune - Chandani Chowk – Paud – Mulshi – Dongarwadi – Tamhini Ghat – Vile – Nijampur – Mangaon (here you reach the Mumbai Goa highway; turn left towards Goa) – Lonere Phata (about 8 Kms from Mangaon; here leave highway and turn right) – Goregaon – Ambet – Mhapral – Shenale – Mandangad –Dapoli. Pune – Shirur – Wai – Panchgani –Mahabaleshwar – Poladpur – Bharne Naka – Khed – Dapoli. Pune – Khed Shivapur – Bhor – Varandha Ghat – Latwan – Visapur – Dapoli. MSRTC (ST) buses ply from Pune to Dapoli from Swargate bus stand. Take the Konkan Railway and alight at Khed. Dapoli is 29 Kms from Khed. ST buses and local transport is easily available. Mumbai –Goa Highway (NH17) – Mangaon — Lonere Phata (about 8 Kms from Mangaon; here leave highway and turn right) – Goregaon – Turn left towards Purar/Nandavi, Purar – Ambet –Mandangad – Dapoli.